In the summer of 1999 a multi-award winning British illusionist came to me with a problem. He had a favourite comedy magic effect that he'd always wanted to perform but felt the trick was missing something, there was no logical end; nothing to take this beyond being a simple "bit of business". My job was to evolve the classic music-hall comedy idea and make it in to a powerful piece of magic. The effect was the classic comedy idea of doing “the cups and balls” using someone’s head under 3 buckets, traditionally it had been played as a gag whilst in the 80’s some magicians had experimented with making “the head” vanish completely but had always ended up with a very suspicious looking prop and the unresolved issue of a vanish left the effect with an anti-climactic ending. Instead of enjoying the comedy and magic of the preceding routine audiences focused on trying to work out where the tiny girl was hidden in the “magic box”. 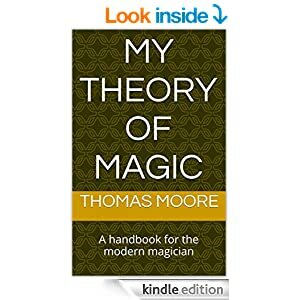 I decided on 3 key rules that must flow through my new version; that the prop must look natural and logical (not like a magicians box), that instead of ending with a vanish the small petite female assistant should change in to completely different Male assistant and that above all the props and routine must be genuinely funny. From that original re-working I’ve returned to this effect more than a dozen times, each time refining the method and developing the routine to extract the maximum comedy and entertainment from the routine. A routine that has been seen all around the world and survived the scrutiny of some of the harshest audiences (and talent show judges) in the world making this one of my most popular creations. The latest version of this effect is completely angle-proof and utilises a novel application of an ancient idea that’s so deceptive even when you know how it works you still can’t see it!